OSWEGO, NY – The United Way of Greater Oswego County will host its inaugural Hole in One Bowl on April 6 from 1 to 3 p.m. at Lighthouse Lanes. The event serves as a fundraiser for the various youth programs that the United Way helps sponsor. 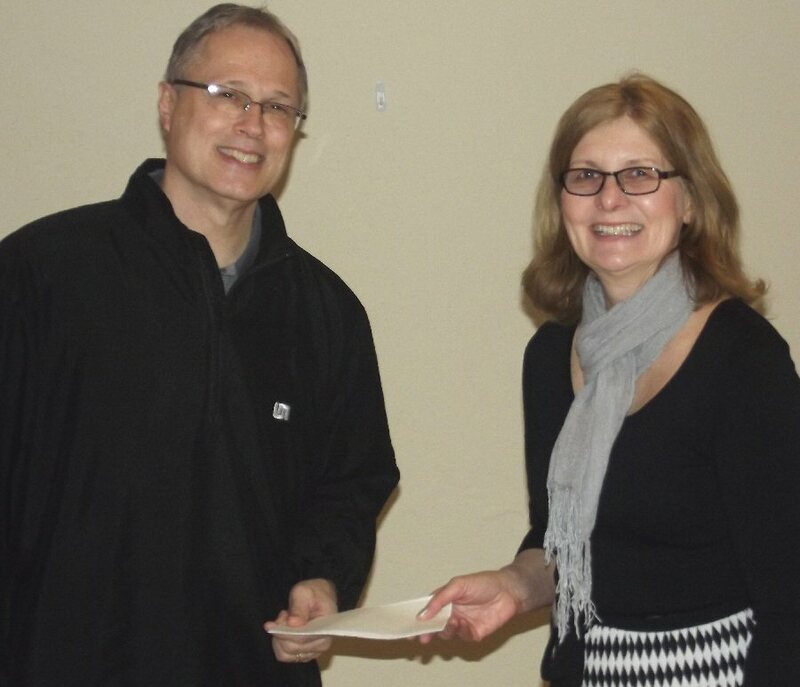 Wally Dengos of National Grid presents Lois Luber, resource development director for United Way of Greater Oswego County, with a check in support of the United Way Hole in One Bowl. According to United Way Resource Development Director, Lois Luber, the Hole in One Bowl is way for families to get together and engage their children in an afternoon of fun and bowling. “For a $15 donation participants will receive two hours of bowling, shoe rental, pizza and soda, and a youth size T-shirt. Weather permitting we will also have outdoor activities for the children as well,” said Luber. Luber added that United Way is currently welcoming businesses and individuals interested in helping to sponsor the event. “We invite those wishing to support our mission to improve lives and make a difference to make an investment in our children,” she said. – Ticket and T-Shirt Sponsor ($100) that includes signage on a bowling lane during the event, three tickets to the Hole in One Bowl and logo or sponsor name printed on 100 youth shirts that will be distributed at the event. – T-Shirt Sponsor ($50) that includes signage on a bowling lane during the event and logo or sponsor name printed on 100 youth shirts that will be distributed at the event. Tickets to the event are available at Cakes Galore 40 E. Seneca St. Oswego.